It is amazing how beautiful Christmas cards have become. Every year when I receive cards from family and friends I am amazed at the new backgrounds and styles of cards. I especially adore the pictures of family and friends. I get a snap shot of how much kids have grown. The beaming smiles just warms your heart over the holidays. Then we are faced with the dilemma. What do we do with these picture cards? I recently had someone tell me how much they enjoyed them, but that they just throw them in the trash. It is sad that money is spent, sometimes lots of money on cards only for them to wind up in the landfill. Many, many years ago I began making a collage on my fridge with these cards. I simply cut out the pictures and tape them on one side of my fridge. You would not believe the response I get. Oh, many will say that they would not do that because it is tacky or doesn’t look nice. 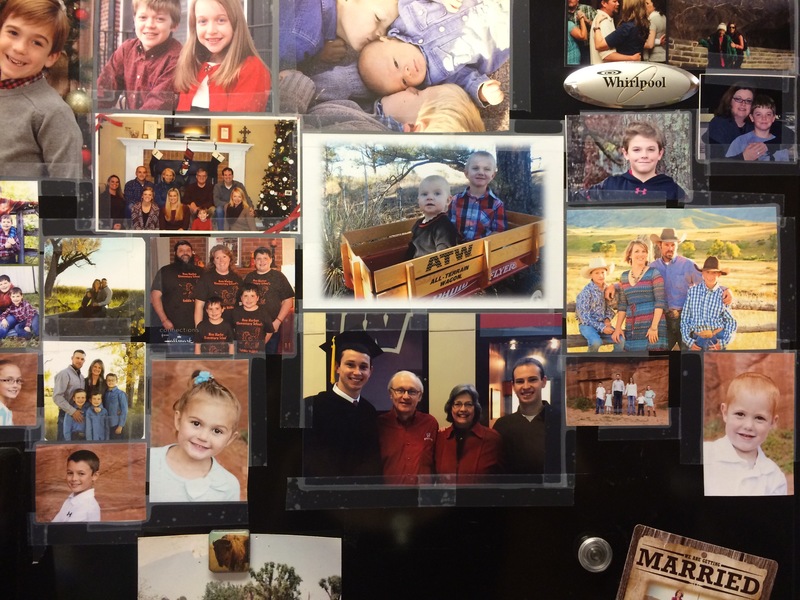 However almost everyone graduates to my fridge to see and look and ask who people are. They will gather to look at how people have changed or If they know someone they will ask how they are doing, or what they have been up to. I will take them down when I have my next set to put up. This has become my own little tradition. I so adore all the pictures that my family enjoys seeing them all year.